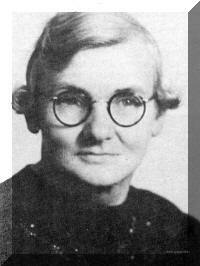 3-Leila Florence Dobson was born on 24 Jun 1891 in Whitefoord Hills, Elizabeth Town, died on 27 Sep 1979 in Ulverstone, Tasmania at age 88, and was buried in Sep 1979 in Ulverstone, Tasmania. Leila married Charles Ling, son of Francis Edwin Ling and Emily Smith, on 25 Aug 1912 in Pine Road, near Penguin. Charles was born on 19 May 1888, died on 21 Jan 1944 in Ulverstone, Tasmania at age 55, and was buried in Jan 1944 in Ulverstone, Tasmania. Leila Dobson and Charles Ling married at Pine Road on 21st August, 1912 and their eldest son Horace was born just one year after in 1913. Charles was in the Light Horse Brigade at the time of their wedding. They farmed at Riana, South Nietta and Lobster Creek near Ulverstone. When they moved to Nietta there was no Sunday School. The children had lessons out of doors until Charles, Leila and others helped to convert an old cottage into a Sunday School building by removing walls between rooms. According to their daughter Nena, they also helped to raise money and Charles assisted in the building of a Community Hall in the district. At the age of 56, Charles died on 21st January, 1933 while engaged in farming at Lobster Creek. Leila, with the help of her children continued to farm the property for some time. Finally she moved to live with one of her daughters Phyllis (Mrs. Willie Dobson) at South Road, Penguin where she remained until her death on 27th September, 1979 in her 88th year. Leila was severely burnt, as a little girl, when throwing chips from her apron onto the open fire. She suffered extensive burns to her leg, stomach, arm, neck and face. She spent 16 weeks in bed, carrying the scars for the rest of her life. TX3889 Private Morton Ling served in the 2nd 40th Battalion, 2nd A.I.F. for six and a half years. He was taken prisoner on Timor, moved to Java and then to Singapore. He eventually worked on the notorious Burma Railway for 16 months. Mort was a P.O.W. for three years. He returned on a hospital ship and spent some time in hospital before discharge. 4-Horace Frances Ling was born on 21 Aug 1913 in Riana, died on 14 Jan 1973 in Ulverstone, Tasmania at age 59, and was buried in Jan 1973 in Regional Cemetery, Ulverstone. 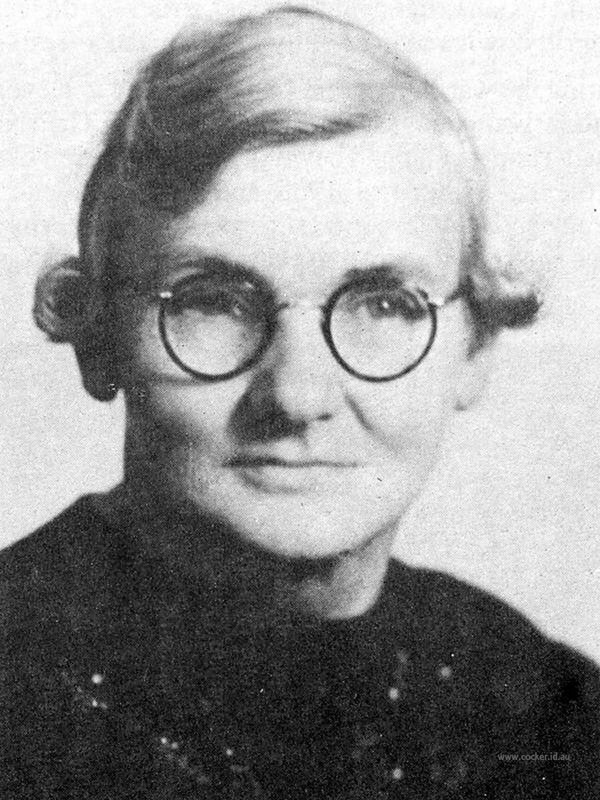 Horace married Jessie Dolbel, daughter of Edwin Victor Dolbel and Elsie Myra Loone, in May 1938 in Methodist Church, Ulverstone. Jessie was born on 24 Dec 1917 in Valley Field, New Norfolk, Tasmania and died on 5 Sep 2006 at age 88. They had four children: Brian Charles, Brenda, Anthony John (Tony) and Robert. 5-Brian Charles Ling was born on 6 Jul 1940 in Ulverstone, Tasmania. Brian married Kay Morris on 12 Aug 1967 in Hobart, Tasmania. Kay was born on 1 Apr 1944 in Hobart, Tasmania. They had four children: Deborah Anne, Debra, Gregory Charles and Jennifer Kaye. 6-Deborah Anne Ling was born on 28 Sep 1968 in Mersey Womens Hospital, Devonport. Deborah married David Maxwell Triffett on 23 May 1987 in Baptist Church, Ulverstone, Tasmania. David was born in 1965 in Queenstown, Tasmania. They had two children: Shantel Louise and Beau David. 7-Shantel Louise Triffett was born on 26 Apr 1988 in Devonport. 7-Beau David Triffett was born on 16 Jul 1992 in Devonport. 6-Debra Ling was born on 28 Sep 1968. 6-Gregory Charles Ling was born on 31 Mar 1970 in Mersey Womens Division Hospital, Devonport. Gregory married Sharon Hedditch. They had one daughter: Brinley Isabella. 7-Brinley Isabella Ling was born on 17 Jun 1996 in Cairns, Queensland. Gregory next married Jacqueline McCauley in Dec 2000. Jacqueline was born about 1978 in Spreyton. They had one daughter: Keaune Jacqueline. 7-Keaune Jacqueline Ling was born on 19 Jan 2002 in Launceston. 6-Jennifer Kaye Ling was born on 21 Sep 1976 in Devonport. Jennifer married Jace Willby. Jace was born about 1974 in Queensland. 5-Brenda Ling was born on 24 Mar 1943 in Ulverstone, Tasmania. Brenda married Laurence McCall on 22 Apr 1961 in Devonport. Laurence was born on 1 Jul 1942 in Devonport. They had six children: Mandy, Jeanette, Dean, Mardi, Heath and Brendan. 6-Mandy McCall was born on 30 Dec 1961 in Devonport. Mandy married Christopher Ian Billing. Christopher was born on 4 Feb 1959 in Ulverstone, Tasmania. They had three children: Daniel Lee, Sherryl Ann and (No Given Name). 7-Daniel Lee Billing was born on 24 Nov 1981. 7-Sherryl Ann Billing was born on 26 Jun 1984. 7-Billing was born about 15 Jul 1992. 6-Jeanette McCall was born on 13 Apr 1963 in Devonport. Jeanette married Steven Martin in Methodist Church, Devonport. Steven was born about 1962. Jeanette next married Alf Corbett. Alf was born about 1960. 6-Dean McCall was born on 24 May 1968 in Devonport. Dean married Lisa Stafford. Lisa was born about 1969. They had two children: Jade Dean and Dylan. 7-Jade Dean McCall was born on 4 Jul 1998. 7-Dylan McCall was born about 2000. 6-Mardi McCall was born on 8 Nov 1969 in Devonport. Mardi married Brett Cowen. Brett was born about 1968. They had one daughter: Sarah Kalynoa. 7-Sarah Kalynoa Cowen was born on 28 Aug.
Mardi next married Grant Purton. 6-Heath McCall was born on 28 Feb 1971 in Devonport. Heath married Tracey Laycock. Tracey was born about 1972. They had three children: Thalia, Bradley Philip and Colby Jordan Max. 7-Thalia McCall was born on 21 Sep 1994. 7-Bradley Philip McCall was born on 17 Apr 1998. 7-Colby Jordan Max McCall was born on 1 Jun 2001. 6-Brendan McCall was born on 4 May 1973 in Devonport. Brenda next married Dirk Antonius Van Garderen on 15 Oct 1994. 5-Anthony John (Tony) Ling was born on 23 Mar 1947 in Ulverstone, Tasmania. Another name for Anthony is Tony. Anthony married Vicki Guthrie. Vicki was born on 27 Jan 1950 in Ulverstone, Tasmania. They had two children: Kellie Ann and Jamie. 6-Kellie Ann Ling was born on 14 Jan 1970 in Ulverstone, Tasmania. Kellie married David Wright. David was born about 1970. They had two children: Morgan and Bailey. 6-Jamie Ling was born on 14 Jan 1973. Jamie married Sharon Gibson. Sharon was born in Tasmania. 5-Robert Ling was born on 13 Nov 1955 in Latrobe. Another name for Robert is Robbie. Robert married Ann Coglan in 1980. Ann was born on 8 May 1962. They had two children: Nathan and Rebecca Jane. 6-Nathan Ling was born on 19 Mar 1982 in Latrobe. Nathan married Sheryl. They had one son: Matthew James. 7-Matthew James Ling was born on 23 Sep 1996 in Brisbane, Queensland. 6-Rebecca Jane Ling was born on 3 Sep 1984 in Latrobe. Robert next married Sheryl Fraser. They had one son: Matthew James. 6-Matthew James Ling was born on 23 Sep 1996 in Brisbane, Queensland. 4-Nena Irene Ling was born on 12 Jul 1915 in South Riana and died before 21 Jan 2006. Nena married Frederick Charles Byrne, son of Frederick Byrne and Charlotte Nicholls, about 1933. Frederick was born on 10 Dec 1907 in Elderslie, Tasmania and died on 1 Mar 1964 at age 56. They had two children: Eileen and Cyril Henry. 5-Eileen Byrne was born on 6 Jan 1935. Eileen married Terry King. Terry was born on 18 Mar 1928. They had three children: Sonya, Sharon and Patrice. 6-Sonya King was born on 15 Aug 1954. Sonya married Stan Trianfillou. Stan was born on 20 Nov 1956. They had one son: Peter. 7-Peter Trianfillou was born on 27 May 1983. 6-Sharon King was born on 28 Sep 1955. Sharon married Paul Hearps. Paul was born on 25 Jan 1953. They had three children: Scott, Mark and Kurt. 7-Scott Hearps was born on 21 Sep 1976. 7-Mark Hearps was born on 17 Jan 1979. 7-Kurt Hearps was born on 28 Jul 1980. 6-Patrice King was born on 18 Nov 1961. 5-Cyril Henry Byrne was born on 12 Apr 1937. Cyril married Sylvia May Jones. Sylvia was born on 16 Oct 1939. They had one daughter: Jennifer Joyce. 6-Jennifer Joyce Byrne was born on 14 Sep 1961. Jennifer married Glen Geoffrey Hardy. Glen was born on 13 Jul 1955. Cyril next married Jan Ablit. Jan was born on 31 Jan 1943. Nena next married William Alfred Grundy about 1950. William was born on 12 Nov 1902 and died in 1988 at age 86. 4-Gladys Ling was born on 19 May 1918 in Riana. Gladys married Reg Halfhide. Reg was born about 1916 and died on 4 Jan 1976 aged about 60. 4-Morton Charles Ling was born on 17 Apr 1920 in Riana, died on 21 Jan 2006 at his home, Ulverstone, Tasmania at age 85, and was buried on 25 Jan 2006 in Cremated Ulverstone. Another name for Morton was Mort. Morton married Iris Ritter about 1945 in Ulverstone, Tasmania. Iris was born on 22 May 1922 in Ulverstone, Tasmania. They had three children: Noel Charles, Kenneth Morton and David. 5-Noel Charles Ling was born on 20 Jun 1947 in Ulverstone, Tasmania. Noel married Noeleen Keyes in Melbourne, Victoria. Noeleen was born on 18 Feb 1953 in Melbourne, Victoria. They had two children: Matthew and James. 6-Matthew Ling was born on 7 Jul 1974 in Melbourne, Victoria. 6-James Ling was born on 22 Apr 1977 in Melbourne, Victoria. 5-Kenneth Morton Ling was born on 5 Oct 1949 in Ulverstone, Tasmania. Kenneth married Lynette Margaret Berry in 1970 in Ulverstone, Tasmania. Lynette was born on 4 Nov 1953 in Ulverstone, Tasmania. They had two children: Adam Kenneth and Sandra Margaret. 6-Adam Kenneth Ling was born on 17 May 1975 in Seymour, Victoria. 6-Sandra Margaret Ling was born on 19 Feb 1978 in Seymour, Victoria. Sandra married Mark Hallsworth in Hobart, Tasmania. They had one son: Spencer. 7-Spencer Hallsworth was born in 2009 in Hobart, Tasmania. Kenneth next married Beverley Claire McCauley on 24 Apr 1982 in Tamworth. Beverley was born on 7 Mar 1956 in Sydney, New South Wales. They had one son: Adrian Elton. 6-Adrian Elton Ling was born in Sydney, New South Wales. Adrian married Debbie Milles in Coffs Harbour, New South Wales. They had three children: Blake, Bianca and Brooke. 5-David Ling was born on 8 Jul 1952 in Ulverstone, Tasmania. David married Derris Jackson. Derris was born on 6 Nov 1951. They had three children: Adrian, Ryan and Stacey. 6-Adrian Ling was born on 23 Dec 1972 in Tasmania. 6-Ryan Ling was born on 11 Nov 1974 in Tasmania. 6-Stacey Ling was born on 30 Sep 1981 in Tasmania. Morton next married Brenda Wright about 1970. Brenda was born on 28 Nov 1937. 4-Darrel Ling was born on 20 Jun 1924 in Riana and died on 22 Apr 1994 at age 69. Darrel married Maisie Yaxley, daughter of Harold Cameron Yaxley and Annie Margaret Belbin, on 3 May 1949 in Methodist Church, Ulverstone. Maisie was born on 12 Jul 1924. They had five children: Terry, Judith, Ann, Wendy and Cameron. 5-Terry Ling was born on 21 Sep 1950. 5-Judith Ling was born on 18 May 1953. Judith married Geoffrey Williams. Geoffrey was born on 23 Feb 1953. They had two children: Roslyn and Derek. 6-Roslyn Williams was born on 31 Dec 1974. 6-Derek Williams was born on 19 Nov 1979. 5-Ann Ling was born on 11 May 1955. Ann married Christopher Turnbull. Christopher was born on 30 Nov 1953. They had one daughter: Vanessa. 6-Vanessa Turnbull was born on 6 Jun 1978. 5-Wendy Ling was born on 16 Jul 1956. Wendy married Michael Berechree. Michael was born on 7 Jun 1954. They had four children: Norman, Richard, Janine and Brendan Joseph. 6-Norman Berechree was born on 24 Dec 1976. 6-Richard Berechree was born on 23 Jun 1979. 6-Janine Berechree was born on 17 Jan 1982. 6-Brendan Joseph Berechree was born on 3 Nov 1984. 5-Cameron Ling was born on 3 May 1958. Cameron married Wendy Johnston. Wendy was born on 23 May 1959. 4-Phyllis Ling was born on 25 Dec 1928 in Riana. Phyllis married William Dobson. William was born on 13 Sep 1920 and died on 8 Nov 1979 at age 59. They had three children: Julie, Stephen and Karen. 5-Julie Dobson was born on 9 Jul 1949. Julie married Kevin Regan. Kevin was born on 19 Sep 1944. They had four children: Annette, Cindy, Haley and Teresa. 6-Annette Regan was born on 11 Sep 1968. 6-Cindy Regan was born on 20 Mar 1970. 6-Haley Regan was born on 16 May 1975. 6-Teresa Regan was born in 1978. 5-Stephen Dobson was born on 29 Aug 1953. Stephen married Mary Blizzard. Mary was born on 30 Jul 1956. They had four children: Nathan, Yvette, Kylie and Angela. 6-Nathan Dobson was born on 6 Feb 1976. 6-Yvette Dobson was born on 22 Aug 1977. 6-Kylie Dobson was born on 6 Sep 1980. 6-Angela Dobson was born on 5 Jan 1983. 5-Karen Dobson was born on 22 Jan 1967. 4-Beth Ling was born on 20 Dec 1929 in Riana. Beth married Laurie Watson. Laurie was born on 22 Jun 1928. They had three children: Rodney, Peter and Lea. 5-Rodney Watson was born on 20 Dec 1954. Rodney married Lizzy Shires. Lizzy was born on 2 Jul 1963. 5-Peter Watson was born on 29 Aug 1956. Peter married Robyn Sutcliffe. 5-Lea Watson was born on 9 Aug 1959. Lea married Peter Franks. Peter was born on 12 Dec 1959.